There’s plenty to mourn about the plunge in middlebrow, mid-budget features, but the decline of the midlife-crisis movie isn’t one of them. Arguably no other genre is as schmaltzy, banal, out-of-touch, and straight-white male-centric as studio filmmaking’s version of hitting 40 and realizing that your well-paying job, magazine-spread-ready life, and flawlessly bleached and Botoxed wife are no longer enough for you. But there’s inherent conflict and complexity in the crushing realization that, at an age when you feel like you should have the major pillars of your life squared away, you find all that surrounds you intolerable and meaningless. 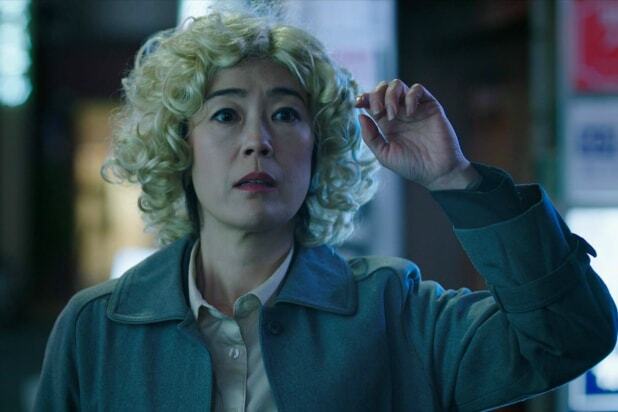 The trans-Pacific drama “Oh Lucy!” proves that a shift in perspective — from a generic white dude to a spiky Japanese woman — can go a long way in restoring interest and intrigue to a genre that’s long been watered down by its writers and directors. Slight but tremendously thoughtful, “Oh Lucy!” is a character study of a lonesome office worker contending with the pressures of being a single older woman, especially in a country where isolation and suicide are normalized. Writer-director Atsuko Hirayanagi’s debut begins somewhat shakily, with 40-ish Setsuko (an excellent Shinobu Terajima) witnessing a man jumping in front of a train, an older woman at work retiring, and the office worker talked into a year’s worth of English lessons by her suspiciously insistent niece Mika (Shiori Kutsuna). Though she has a desk and a computer of her own, the only work we ever see Setsuko performing is serving drinks to her male bosses, who don’t seem to be any older than she is. Terrified of becoming the next crone her young female colleagues mock behind her back, she’s primed to fall in love with the next man who sends an ounce of attention her way. That happens to be her American English teacher, John (Josh Harnett), an eccentric looker who immediately renames Setsuko “Lucy,” puts a curly blond wig on her head, and showers her with long, tight hugs. The first sign that there’s something a little off about John is that his lessons take place in a neon-lit brothel. By the time he pops an orange ping pong ball in her mouth without warning to help her “relax,” we know he’s definitely a weirdo; the question is what kind. Setsuko soon clutches John even longer than he to her. But none are as clingy as Setsuko’s classmate, a widower christened “Tom” (Kōji Yakusho, “Shall We Dance?”). Then sudden disappointment: John, secretly dating Mika, returns to Los Angeles with his new girlfriend in tow. Worried about her niece (and literally pursuing John), Setsuko departs for California with her difficult and exacting sister, Mika’s mother Ayako (a scene-stealing Kaho Minami, who adds masterful shades of shrewdness and spite to a largely thankless role). What follows are a series of strikingly detailed one-on-one scenes between Setsuko and Ayako, John, and later Mika that build to a compelling inevitability. You can feel the years on the weary mutual resentment between the mismatched siblings. But initially, at least, the freedom from her life that Setsuko finds in L.A. allows her to enjoy the trip as an adventure. That’s the case even when John reveals himself as a smooth liar, his backbone as flexible as his resolve. Harnett is fantastic as a slippery jerk who hasn’t yet realized he’s a much worse person than he thinks. Also Read: Salma Hayek Wonders: Why Did I Go 15 Years Between Lead Roles? But the real standout character is of course Setsuko, who very humanly zigzags between over-generosity (when she wants to indulge a loved one) and barbed cruelty (when she fears being made into a laughingstock, especially by a 20-something woman). 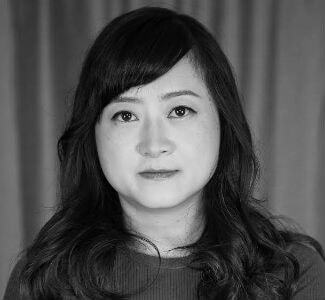 Writer-director Hirayanagi runs into a few minor pacing miscalculations, but “Oh Lucy!”, based on her 2014 short of the same name, is a tense, observant, and heartfelt accomplishment. That is to say: I dearly hope Hollywood spares it from its remake machine. "Curb Your Enthusiasm" came roaring back from a six year hiatus with a New York City premiere at the SVA Theater on Wednesday night. 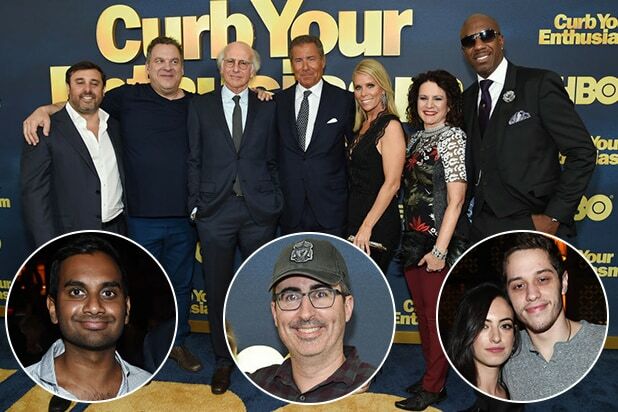 Comedy peers from Netflix (Aziz Ansari), HBO (John Oliver), and "Saturday Night Live" (Pete Davidson) were amongst the friends and fans of Larry David and company. J.B. Smoove greeted Ansari at the after-party at TAO Downtown. Iraq war veteran and veterans' rights advocate Kate Norley with her husband, John Oliver. HBO renewed "Last Week Tonight" through 2020. Cheryl Hines, husband Robert F. Kennedy Jr., and Keegen-Michael Key tucked into a banquette. These three were just together in L.A. on Emmy weekend at the Creative Coalition's awards. Hines hosted that event, where Kennedy and Key accepted honors for their charitable work. Jeff Garlin (center) brought his own camera to the press line. Here, Jon Glaser and Andrew Rannells flank LD's best bro. Mark Feurstein's cult comedy "Wet Hot American Summer: Ten Years Later" debuted last month. F. Murray Abraham (far left) led a lineup of guys hitting the carpet at the SVA Theater. The crew included radio hall of famer Ira Glass, designer Kenneth Cole, and professional boxer and cancer survivor Danny "Miracle Man" Jacobs. Jacobs, now fighting under the HBO's promotions, is prepping that fist ready for a November fight. Smoove with Susie Essman. When we last saw "Curb," Mayor Bloomberg had humiliated Larry David for slights against Michael J. Fox and David self-exiled to Paris. Somehow, he was back in the big city. "Sopranos" alums Aida Turturro and Lorraine Bracco sandwiched the late James Gandolfini's son, Michael. The young Gandolfini has a bit part in the upcoming "Ocean's Eight." "Curb Your Enthusiasm" returns to HBO this Sunday night at 10 p.m. ET/PT. Larry David and company celebrate the long-awaited Season 8, premiering this Sunday night at 10 p.m.
Sony Sale Speculation Returns – But Can Japan Let Go of Reborn Studio?